On February 4, 2019, the Lake County Sheriff’s Gang Task Force concluded a three-month investigation into an individual illegally selling prescription pills out of his residence. 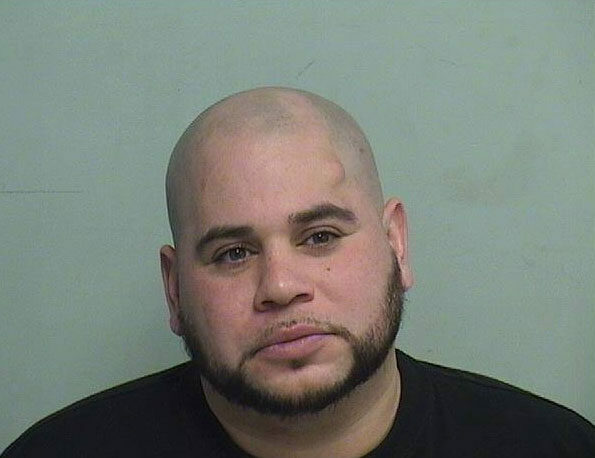 During the investigation, Homero Cadena, 32, of the block of 900 North Avenue, Waukegan, sold Amphetamine (a Schedule II Controlled Substance) and pills of Alprazolam (a Schedule IV Controlled Substance) to an undercover Gang Task Force Detective on multiple occasions. Cadena was arrested without incident on February 4, 2019. He was subsequently charged with four counts of unlawful possession of a controlled substance with intent to deliver (Class 1 Felonies). Cadena remains held in the Lake County Jail on $100,000.00 bail. He is next due in court on February 27, 2019 at 1:30PM in courtroom T110. Sheriff Idleburg reminds the community all defendants are presumed innocent unless proven guilty in a court of law. Homero Cadena, suspect unlawful possession of a controlled substance with intent to deliver. Alprazolam is a short-acting benzodiazepine, sold as the trade name Xanax and other names. The drug is prescribed in short term management of anxiety disorders, specifically panic disorder or generalized anxiety disorder. Benzodiazepines are one of the more common prescription drugs used recreationally. Benzodiazepines used as a recreational illegal drug are usually administered orally but sometimes they are taken intranasally (by snorting) or intravenously. Recreational use produces effects similar to alcohol intoxication, but the drug is also used to relieve anxiety associated with bad reactions to psychedelic drugs, such as LSD; or drug-induced agitation and insomnia associated with the “comedown” stages of drug abuse via amphetamines, cocaine, and MDMA. Alprazolam may also be used to enhance effects of other abused substances, such as ethanol, heroin and other opioids, and cannabis. Amphetamines are a potent central nervous system (CNS) stimulant used in the treatment of attention deficit hyperactivity disorder (ADHD), narcolepsy, and obesity. Higher doses associated with recreational use of amphetamines are known to be addictive, and chronic use causes alterations in gene expression. High-dose amphetamine use is associated with dysregulation of the Brain Reward Center or Mesolimbic pathway, which causes amphetamines to be increasingly addictive, requiring larger doses for effects.